Sony may have shown more of the new God Of War at their press conference Monday, but there’s still a lot they haven’t explained about the game. 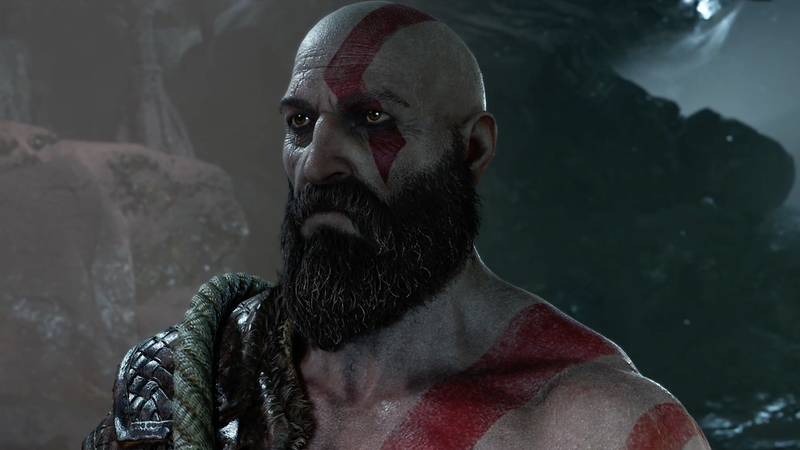 A few things are clear: Kratos is a dad, and the focus had shifted from Greek mythology to Norse myth. I sat down with the game’s director Cory Barlog today at E3 to to get a better sense of what’s in store for our angry Spartan. “There’s so much more to adventure than just [boss fights] ,” Barlog said as he walked a group of journalists through the trailer we’d watched at Sony’s press conference. His presentation didn’t focus on monsters or killing, but rather on character and emotions. 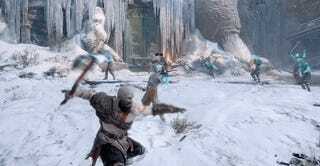 The main sense I got as Barlog talked was that this new God of War is about moving forward. The end of the main trilogy saw Kratos’ violent rage lead to the destruction of much of his own world. The shift to a new setting also heralds a change for Kratos. He is not quite the vicious whirlwind of death that he was in previous games. Kratos is now breakable. The presentation focused on character relationships; gone are the days of the angry Kratos who spurned aid and used random strangers as door-jams. Kratos’ bond with his son expresses itself mechanically as well as narratively. During certain combat sequences, players will actually take control of the son. In one instance, leaping off Kratos’ back and switching in order to shoot some arrows to harass enemies. As players progress, they will be able to teach the boy new abilities much like they would Kratos. The whole thing sounds like a smart way to express the father-son, master-student relationship through the game’s combat. Kratos’s son will also interact with men and women he and his father come across in their travels. He’s a liaison for his father, who doesn’t know the language. Barlog compared the scenario to that of his own home life with his bilingual son, who has taken to teaching him Swedish. Beyond the central relationship of Krato and his son, the game will allow players to befriend allies who will also be able to help out. One of those allies is the dwarf Sindri, who crafted the legendary hammer Mjolnir. (AKA Meow Meow.) He’s a weapons merchant, sure, but if you interact with him it’ll eventually lead to a reconciliation with his estranged brother Brokkr. How that will manifest in the final game remains to be seen, but it’s clear that the Kratos we knew has been left behind. This new guy may not be a hero, but he might finally become a decent person.